This will be great news for all of you who are moving your documents into the cloud with Google Docs. Yesterday, Matt Cutts, a Google engineer, announced from his blog that Google now has a “batch exporter” feature for Google Docs. What’s strange though is that there was no mention about this feature on the official Google Docs blog. Oh well… maybe they just asked Matt to make the announcement from his blog! Anyway, the ability to export Google Docs in mass is a great way for you to get your documents out of the cloud and onto your computers. The Google Operating System blog has a great step by step tutorial on how to make this happen. When you download all of your files, they will be saved on your local computer as a zip file. All you need to do from there is unzip that file and you’ll see your documents. Google has always been about the “freedom of information”. 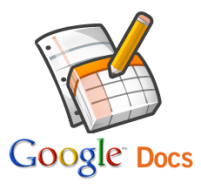 And with this latest Google Docs update, they are making information you create via Docs very flexible. Downloading your Docs (documents, spreadsheets, presentations, etc…) makes it easy to “free” up your documents.